RoboCop isn't the only guy with a gun getting a facelift. Sure you can have as many teams of X-Men running around as you want, albeit each with a different adjective, yet having two teams named X-Force causing chaos just doesn't sit right. 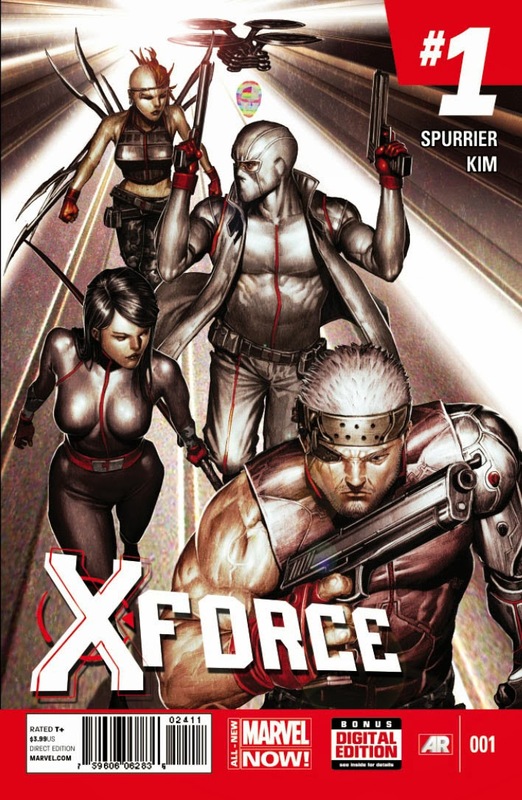 Luckily in 2014 the two teams clash over the return of Stryfe, and when the dust clears, just one All-New X-Force series will remain. When the team is as specialised at blowing things up as X-Force, the dust clearing is only half as important as who is left standing in the debris. Revealed on USAToday, the February return to a no-holds barred clandestine theme by writer Simon Spurrier and artist Rock He-Kim, will see main man Cable team with the likes of Psylocke, Fantomex and Morlock outcast Marrow. 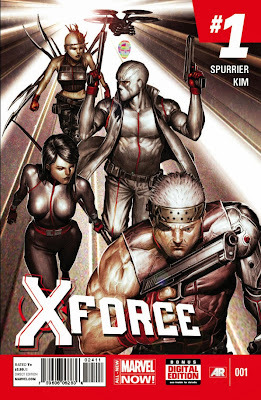 Reeling from the Alexandria Incident which has damaged human/mutant relations and global intelligence networks alike, the new strikeforce encounter a new mutant called MeMe as they try to figure out the cause, all while avoiding being "sidelined, marginalized, scapegoated and eventually hushed up, one secret mass grave at a time," according to Spurrier. With a X-Force movie in the works, a streamlined back to basics move seems like a pretty smart play on behalf of Marvel NOW! Looking forward to it. And yet I wish the Vanisher would be back to the team. He still could Aliera! I doubt that's the final roster of the new series, more like the only members they want to reveal are safe on the other side of January's big X-Force crossover!